Happy Tuesday!! Sorry I have been MIA for a bit…I just started my new part-time schedule at my day job and was working feverishly on a custom project. 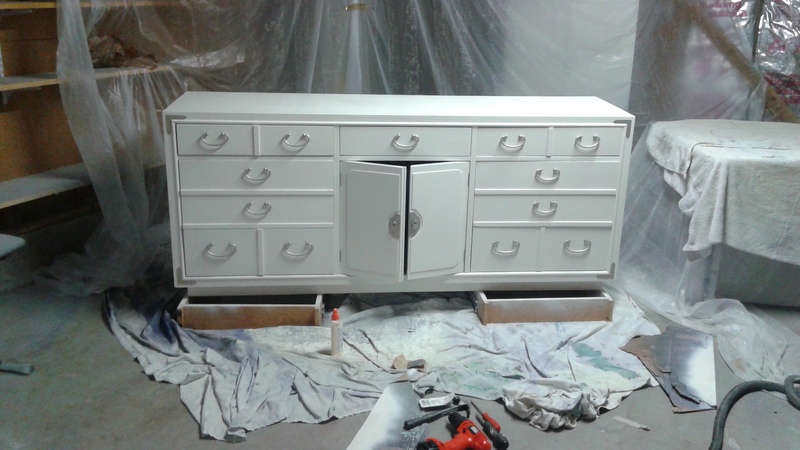 As you can see, this first dresser has great bones and lots of drawer space. 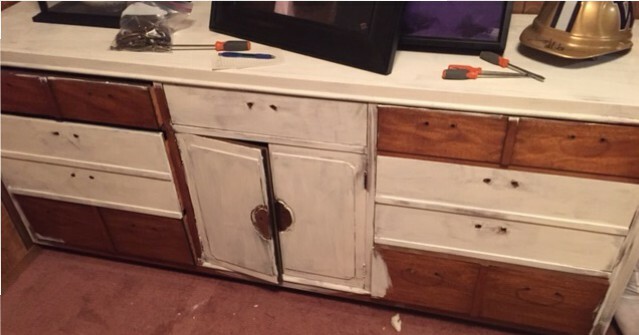 It just needed a little prep work, some primer, and some new paint! I also took off the existing hardware (see the picture below). I cleaned these up and sprayed painted them. I think they added a lot of fun detail and uniqueness to this piece. So, I learned a new trick for filling in small holes, which I thought would be fun to pass on. As you can see, these hardware pieces are held in place by small nails. 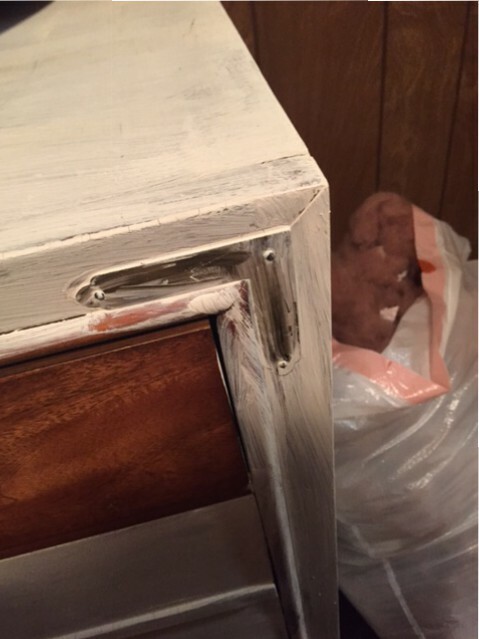 Once, I removed the existing nails, I needed to replace them with new silver ones to match the now sprayer painted hardware. So, I went to the hardware store. When I was purchasing new nails, I forgot to think about the size of the holes in the furniture — I was too concerned with the size of the holes in the hardware. When I got home and was ready to reattach these pieces, they just came right out of the existing holes — they were too small. I returned to the hardware store to find bigger nails, but couldn’t find any that would also fit the hardware. Mmmm…. -Then, you simply nail in the smaller nails into the old holes and now they stay like a dream!! This was such a great solution!! Worked well and took no time at all to execute! Gotta love it! Check out the “After” shot below!